As you can see from some of our recent posts, we are slowly but surely overhauling our price list. This weeks turn was our Matt Laminated Business Cards, they have been reduced in cost substantially across the various runs that we offer. 500 are now only £36 (£26 for resellers). These cards are still LITHO printed (best quality print process) in full colour 1 or 2 sides onto 400gsm Silk art card and finished with a luxury matt laminate. Free UK mainland delivery as standard. If your business cards could do with a freshen up or if stocks are running low, please take a look at our new price list. We are also excited to offer some further discounts on purchasing multiname matt laminated business cards. 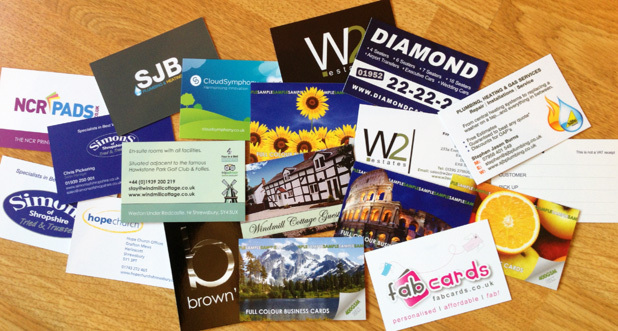 Do you need business cards for different employees within your company? We offer a cost effective way of doing this, just select one of the multiname matt laminated business card options from the drop down box shown on our business cards page.